If the pole direct hammer striking it will hurt the head so it went well as a dollar pilot hole. This review is about item#10235635. 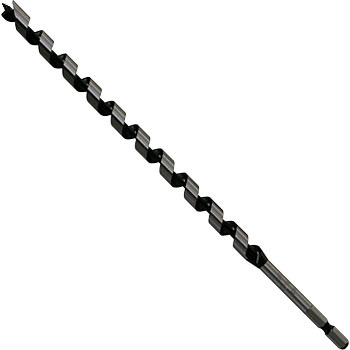 It is useful because it is used for drilling through a remote control wire such as a water heater at a facility shop. This review is about item#10235574. Since it was a long one, it was sometimes dropped from the impact six axis when returning the bit after drilling. This review is about item#10235522. It is used for penetrating the pipe opening of the rear opening of the 2 × 4 structure housing. I was able to work without problems when opening from the switch box hole. It is useful because we have not set as long as this at the home center. This review is about item#10235592. It is saved because it is hard to find for the impact of long size. Well you can use it normally. Legal surface inspection of recycled plastics materials We are using it for drilling stairs. I think that it is a good product. However, since it is a consumable item, I would like to let you know if there are still good products at performance and price (laugh) Previously, the other company's products purchased only once, because the machine was bad and the machine was heating soon, Is not it? Perhaps, I think I will purchase again.